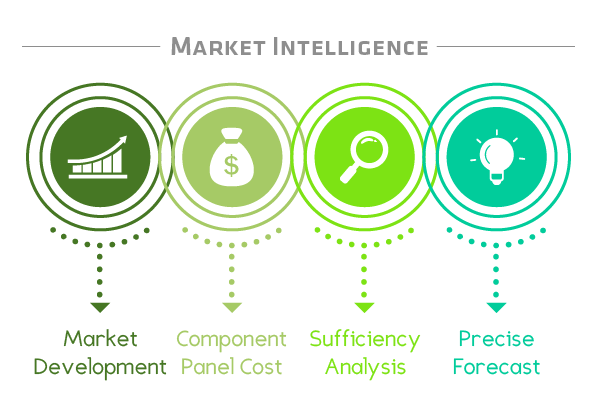 WitsView, a leading market research firm, which fully dedicates itself in providing in-depth market trend analysis and real-time price information of the TFT-LCD industry, aims to be a creditable business partner. With high ambitions in producing and delivering timely and accurate information, WitView leverages its e-business capabilities in making this a reality. Our comprehensive research and market insights allow our clients to make informed marketing decisions, and respond promptly to the changing market dynamics. Meanwhile, to better serve our clients and differentiate ourselves from other industry players, we are committed to providing a comprehensive delineation of the TFT LCD industry and always stay at the forefront of the market trend. Launched in late 2004, WitsView Intelligence conducts a bottom-up market research in the form of data, graphs, or reports for technology companies and the investment community to read from. The WitsView Intelligence Service is designed to serve as an invaluable database for clients, providing detailed market, financial and end product data at the simple click of a mouse. Subjects such as price, shipment, capacity, financial information, cost analysis, sufficiency and competitiveness are fully addressed. In addition, our concise and easy-to-digest data presentation helps clients get rid of the unnecessary hassles, and analyze the relevant data in a focused and wisely manner. For more information, please visit Product & Service.